Must be at least 18 years of age to enter. Photos must be original in nature, and not infringe the intellectual property, privacy, publicity or other rights of any third party. All submissions are subject to the terms and conditions of the media platform selected as a vehicle for submission (including but not limited to Facebook, Twitter, Instagram, or Google+). 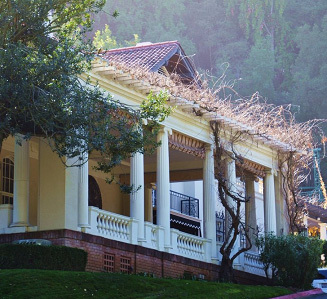 Montalvo reserves the right in its sole discretion to deny or refuse any entry for any reason whatsoever. Except as otherwise specifically provided herein, by submitting a photograph and accompanying written text to Montalvo, entrant for himself/herself and/or his/her minor child(ren) provides Montalvo with the right to reproduce such photograph and/or written text for any reason in any format or media now known or later developed. Entries must be received before May 15, 2014 to be eligible for online exhibition and/or selection to be created into a painting by the artist. Entries will be included in an online exhibition scheduled to end approximately June 8, 2014. Should entrant wish to opt out of the online exhibition component and only be considered for selection as a painting, he/she must specifically state as such upon submission. The artist will select 7 entries to be created into paintings based on the entries’ images which shall be included in the Exhibition L O V E scheduled take place in Montalvo’s Project Space Gallery. Each entrant whose image is selected shall be contacted and required to agree to and sign a separate intellectual property and privacy release. The paintings shall remain the sole property of the artist. However, each selected entrant will be provided with a print of the final original painting based on his/her image to retain.